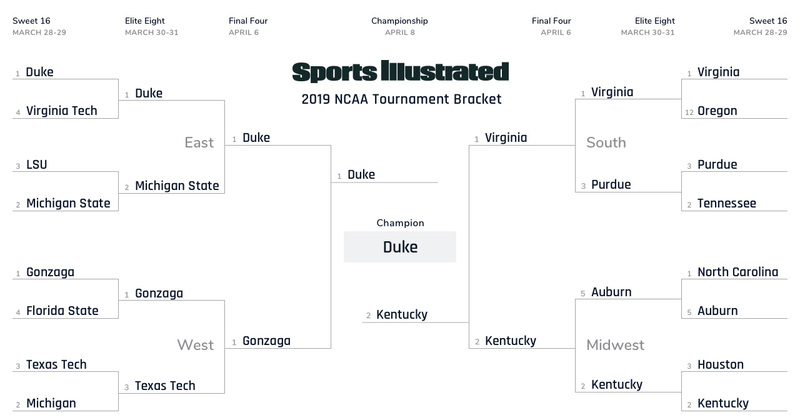 Nobody's perfect, so now that the 2019 Sweet 16 is set, we revised our bracket predictions. Who do we see getting to Minneapolis and winning it all?? 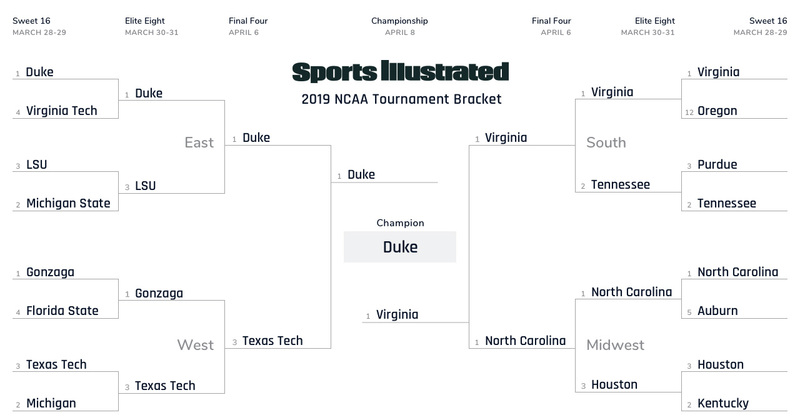 The 2019 NCAA tournament has been chalkier than usual so far, which means we've had a shortage of true drama (with some exceptions, of course). 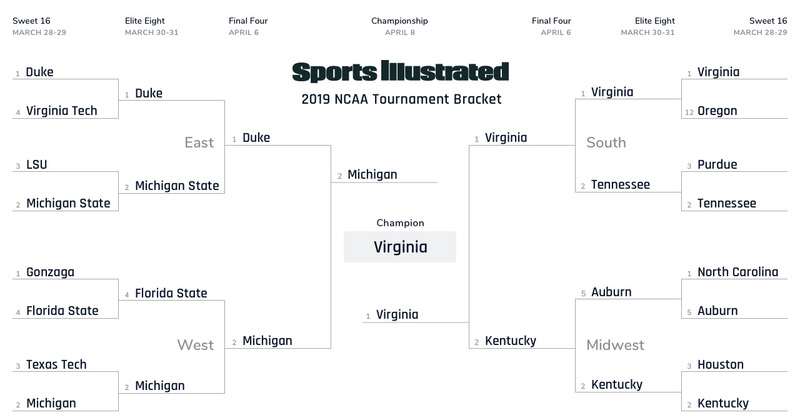 The result is a loaded Sweet 16 that seems poised to deliver in the second weekend and beyond. And while we can't all be perfect, our original March Madness expert brackets have held up fairly well so far. Still, now that the field has been whittled down to a quarter of what it once was, it's time to re-evalute. 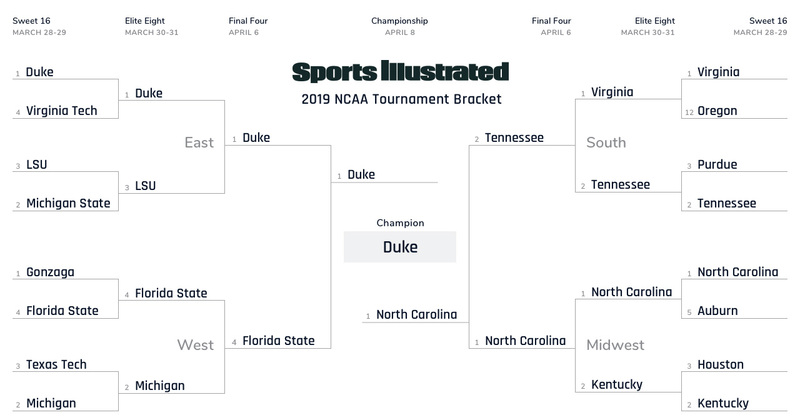 We asked our writers to re-fill out a bracket starting with the Sweet 16, and they were free to change original picks even if those teams were still alive. Was anyone spooked by Duke's near-upset to UCF, or sold on Florida State's commanding blowout of Murray State? Our revised predictions are below.